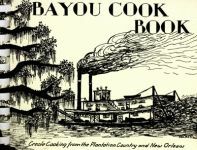 Bayou Cook Book reveals the secrets of traditional South Louisiana Creole cooking. A compilation of family recipes and favorites, this unique cook book is a must for those who love Creole dishes. Spiral. Following in the successful footsteps of Audubon Plantation Country Cookbook, named best new cookbook of the year by Louisiana Life magazine, Anne Butler has written Bayou Plantation Country Cookbook. Recipes drawn from life on the bayou and the rich alluvial fields abound with the fresh catch of the day and the newly picked harvest of the garden. Crossing economic lines, Butler introduces the historical people and places of south Louisiana, from the exiled Acadians and their laissez faire way of life to the cotton kings evoking the Gone with the Wind era. Women of every century have struggled with maintaining fulfillment and balance through their personal relationship with God. In this eight-week lesson plan, nine women of biblical times are examined in relation to their roles in God’s overall design. Each lesson provides insight into issues of transformation, commitment, wisdom, submission to commandments, victory through spiritual strength, devotion, leadership, and consecration. When he was living in a humble home in the village of Um-Jang Ni in North Korea, Woo Jun Hong had no idea what sweet and bitter roads lay ahead. He would experience imprisonment and persecution at the hands of the North Korean Communists; a daring escape to freedom in South Korea; trials and successes in starting a new life; the desire to help all the hungry, war-orphaned children; and the need to share his belief in Christ with all who would listen. BEHIND THE CURTAIN: An Insider's View of Jay Leno's "Tonight Show"
The Tonight Show with Jay Leno comes alive in this book from an insider who describes the show’s inner workings from the monologue to the guest bookings and appearances. Leno was the late-night ratings leader for almost two decades, which is unprecedented in the modern era of television. He and his producers made the show number one by recasting Johnny Carson’s Tonight Show into Jay Leno’s Tonight Show. Behind the Curtain takes an exclusive look at how they achieved it. Set in the Cajun Country of Louisiana’s Vermilion Parish during the 1850s, this historical novel, based on the 1987 motion picture, recounts the exploits of Belizaire Breaux, a Cajun herbalist and traiteur (faith healer). Paperback. For the hundreds of thousands of people with ideas and interests, Berried in Chocolate inspires all to take the plunge and realize their dreams of making a living doing what they love. Shari Fitzpatrick shows readers that anyone can do it. She knows, because she did it.